My mom suggested we get ice cream and said she wanted a banana split. My Four Year Old said, “Can I please have a banana split too? 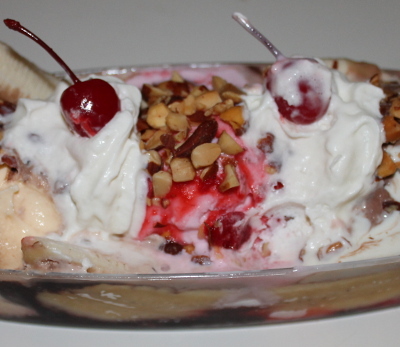 I’ve never had one.” So I picked up two banana splits. “It’s a banana split.” I replied. “But why would someone put a banana in my banana split?” she asked in an upset voice.